Hunger Street Tacos was borne of a husband’s desire to make his wife happy. Luckily for all of us, what made her happy was a taco. Joseph moved back to the Florida but he and Seydi maintained a long-distance relationship for four years. She moved to the States in 2005 and the two were married. Joseph dabbled in the restaurant business, at one point even dreaming of becoming a chef, but ultimately took a more “pragmatic” career path, working in finance. Two daughters were born, Bella and Mia. And that’s when Seydi’s craving started. She missed her beloved taco de suadero. “We would go to 4 Rivers and get the brisket, but I don’t like bread,” she said. “I would dream about eating that brisket on a tortilla.” She kept telling Joseph they should try to make suadero. The brothers didn’t want to jump right into a restaurant, and food trucks seemed problematic, so they went with a catering company. The worked private and public events from under a 10’X10’ tent, lugging two cast iron flat top grills with them. They got rave reviews. The most interesting and valuable experience during that time, David said, was acting as the concessionaire for Maitland Little League.“We learned a lot about organization and having procedures in place,” David said. “Catering was the perfect way to work on menu development and building a customer base.” But a bricks and mortar restaurant was always in their sights. “We always had that vision; that was always the goal,” David said. “We wanted to be able to deliver a modern Mexican ambience in the restaurant and share Mexico through not just our food, but the art and music too. 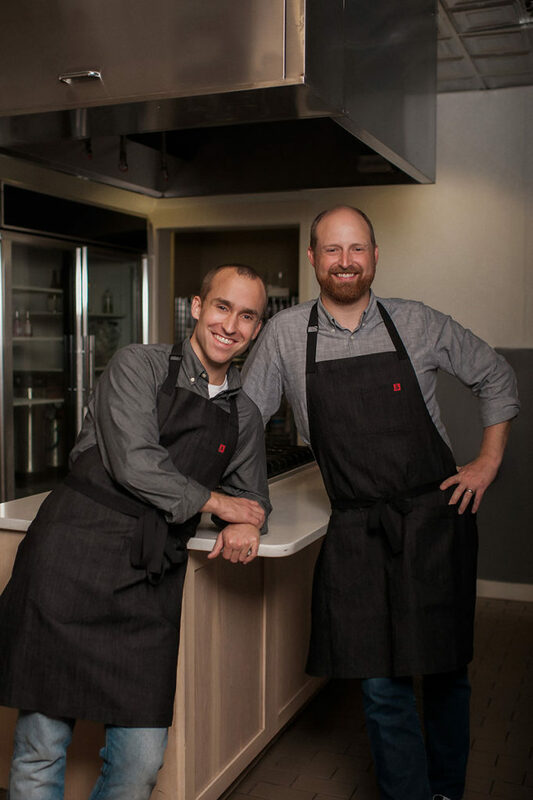 The brothers set a goal to have a restaurant open in five years. “We had a five-year plan that turned out to only last a little more than two years,” Joseph said. 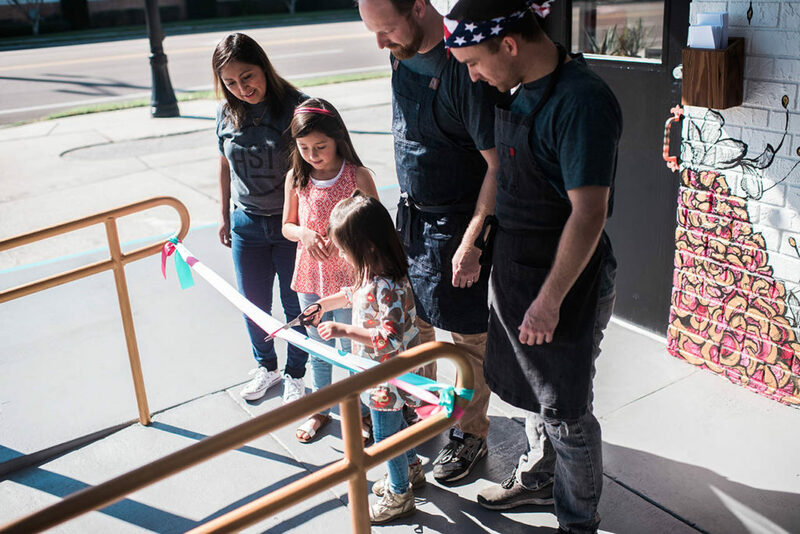 Joseph calls Seydi (and her taco cravings) the “driving force” behind Hunger Street Tacos, so it’s logical that future plans include a string of restaurants, but not franchised. All under the “corporate family” umbrella. And the catering operation that got them started will continue. For now, Joseph and David plan on honing recipes and policies in their first location. The two have gotten help from a local restaurant legend, John Rivers of 4 Rivers Barbecue. While not an official part of HST, John is “like family” and is giving the brothers advice on everything from customer service to sourcing ingredients.